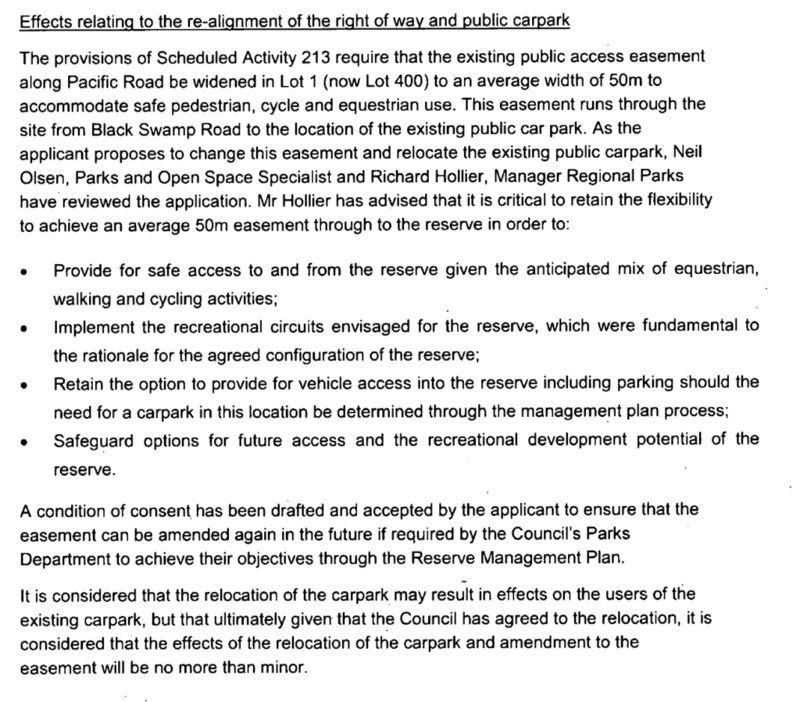 Below is the full excerpt that outlines concerns from advisers to the council (Richard Hollier) and that it is important to ‘safeguard’ future access. Much of which has been relinquished through this non-notified process. Do you think that the restriction of the level access to a public reserve and public beach has ‘less than minor’ impact to the current users?